DVIDSA-10 Warthog over Afghanistan on March 12, 2018. The Air Force recently released a bunch of crazy pictures of A-10 Thunderbolt IIs getting refueled over Afghanistan, where the US recently redeployed a squadron of 12 Warthogs. 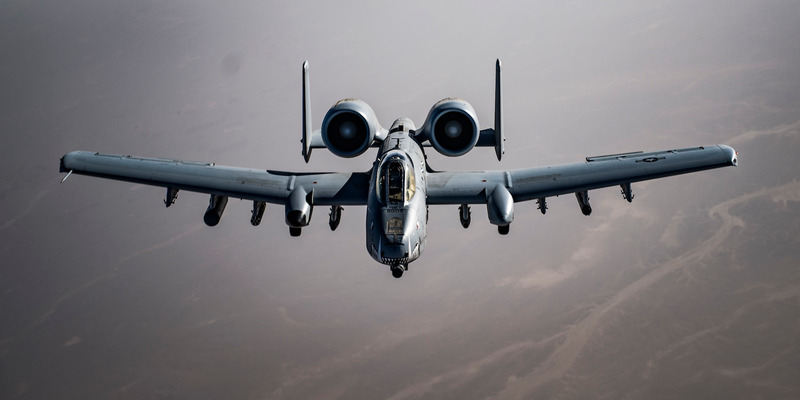 The A-10s were deployed in late January to Kandahar Air Base as part of a new campaign announced in November 2017. The US is increasing airstrikes on Taliban revenue sources, much of which is opium and heroin drug-producing facilities. 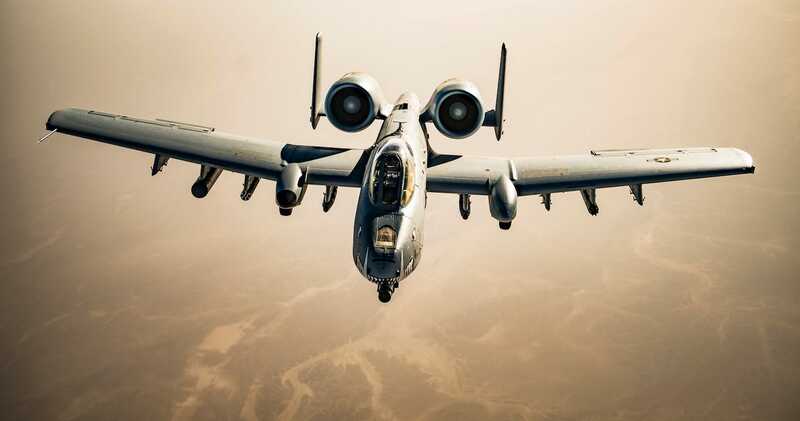 Since then, the US has released several videos of A-10s striking Taliban vehicles, as well as training and drug-producing facilities. Some analysts, however, have criticised the new strategy as a game of whack-a-mole, since the Taliban can rebuild such drug-producing facilities in three or four days. The latest SIGAR report also noted that civilian casualties increased in November. “Press reports stated several civilians were killed during the November bombings,” the report said. 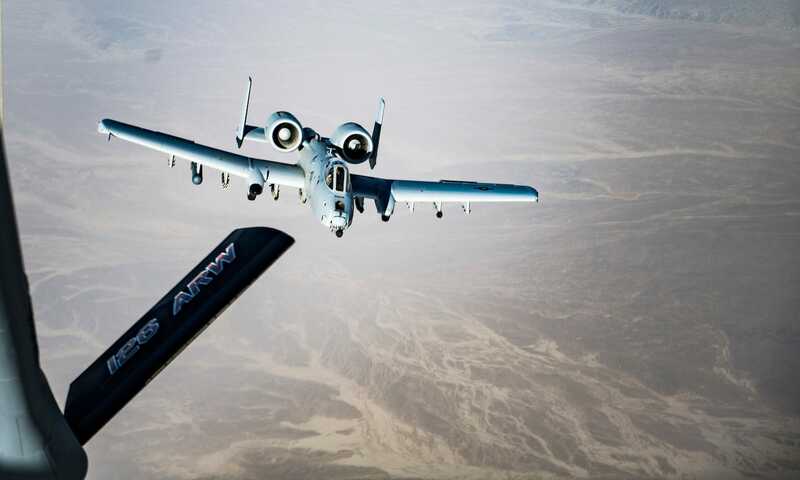 The recently released A-10 photos though are pretty incredible, providing a close-up of how the Warthog is refueled in mid-air. The pictures, taken from a KC-135 Stratotanker, first show the A-10 manoeuvring into position for refuelling. 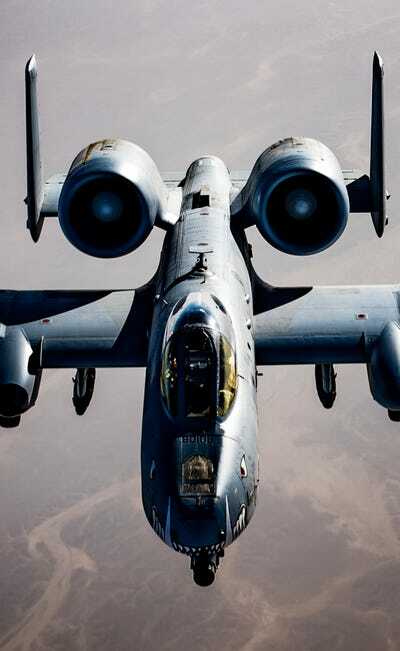 DVIDSAn A-10 Thunderbolt II pilot maneuvers into formation while waiting for his wingman to conduct refuelling operations with a KC-135 Stratotanker over Afghanistan on March 12, 2018. DVIDSA U.S. Air Force A-10 Thunderbolt II pilot maneuvers into formation while waiting for his wingman to conduct refuelling operations with a KC-135 Stratotanker over Afghanistan on March 12, 2018. 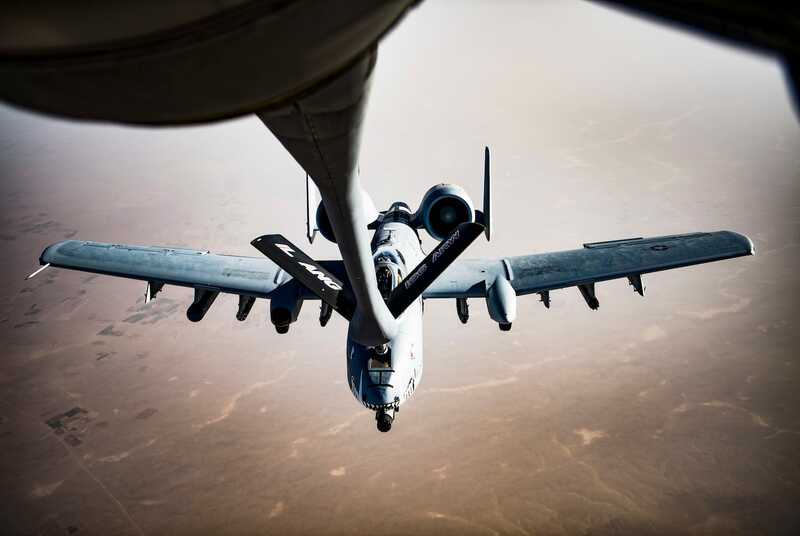 DVIDSA U.S. Air Force A-10 Thunderbolt II pilot maneuvers into position to conduct refuelling operations with a KC-135 Stratotanker over Afghanistan on March 12, 2018. Once in position, the KC-135 extends the refuelling boom down towards the Warthog. 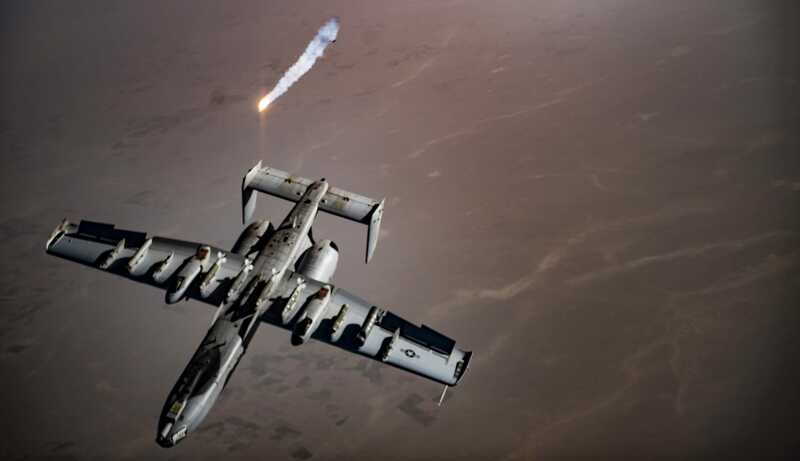 Once refueled, the A-10 inverts away and launches flares. DVIDSA U.S. Air Force A-10 Thunderbolt II pilot breaks right and releases flares over Afghanistan after completing aerial refuelling operations with a KC-135 Stratotanker over Afghanistan on March 12, 2018. And goes on its way. 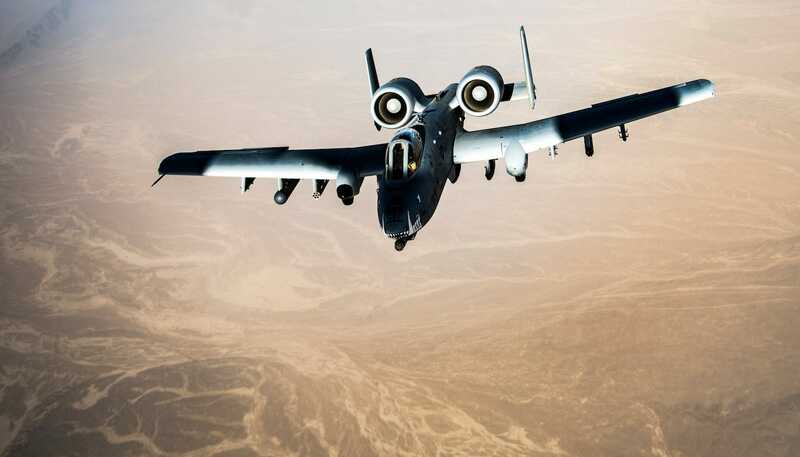 DVIDSA U.S. Air Force A-10 Thunderbolt II pilot flies over Afghanistan after completing aerial refuelling operations with a KC-135 Stratotanker on March 12, 2018. After the refuel, the photographer got a close-up of the cockpit. 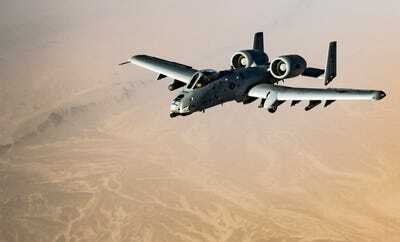 DVIDSA U.S. Air Force A-10 Thunderbolt II pilot flies over Afghanistan after completing aerial refuelling operations with a KC-135 Stratotanker over Afghanistan on March 12, 2018.